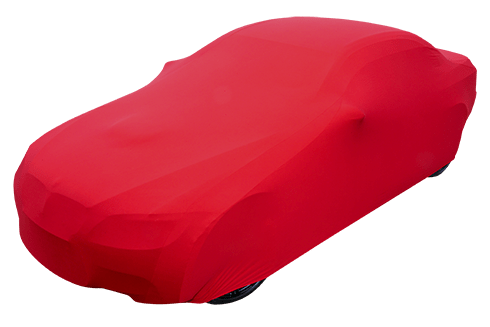 Cosset your price and joy with a super soft indoor car cover. After your car has been detailed, if it is kept garaged why not treat it to some additional cosetting and keep dust, fingerprints and dirt away from the freshly polished surface to help prevent marking? 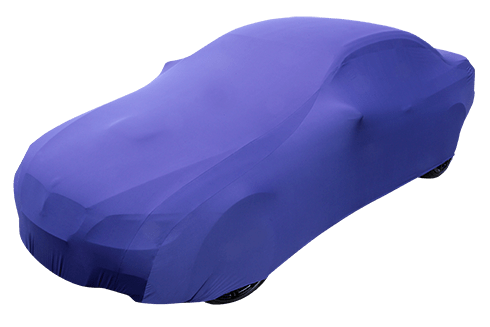 These super soft, super stretchy indoor car covers are the ideal solution for those seeking a fitted car cover at an attractive price. Lycra blended, satin fabric allows the cover to cling to the car whilst its subtle sheen gives an elegant finish. 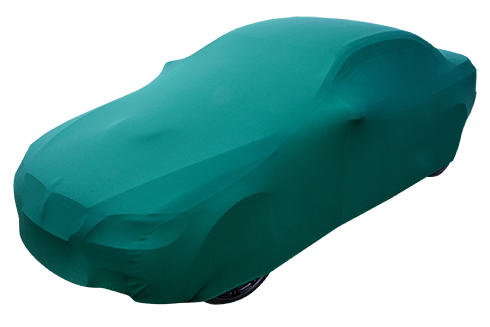 Tightly woven fabric provides excellent protection from dust and other pollutants as well as remaining breathable to prevent any build-up of condensation forming on the car. The snug fit of these covers ensures that they not only look great but also provide exceptional protection. Low profile seams guarantee a sleek finish whilst displaying the contours and profile of your car they are available in 5 colours Black, Navy Blue, Guards Red, Bottle Green and Cool Grey. Sizes avalable are XS, S, M, L, 4×4. Personalisation of these covers is also avaialble with a printed logo in white; a range of colours is however also available. 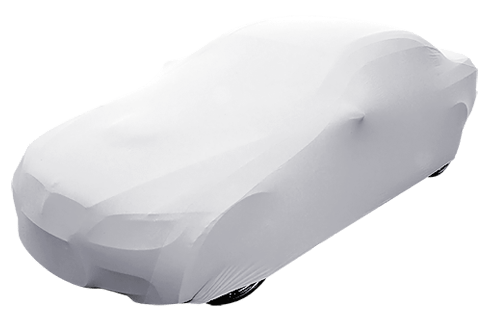 Plain covers (without logos) are avaiale for shipment within one to two working days in most cases. There is a lead time for the vinyl printing of between three to five working days. Priced from £135 – £150 including UK delivery. Contact Us for details on how to purchase. Please Contact Us for details on how to purchase.